First thing a new user will encounter when they have registered on DC-ex its how to transfer their coins from pipchain to DC-ex. First step is to use this link https://www.dc-ex.com/api/pipcoinstatus to request a transfer of your coins, DC-Ex no longer does it automatically. Enter you email that you used on Pipchain above and click search, the system will tell you how many coins you had on pipchain and that will be transferred. Once you have done this please check your email to confirm the request. Once you have confirmed via the link on your email, your coins will be transferred as quickly as 5min, might take more if there is traffic. Now you have your coins and you happy but you realize that you don’t have a clue on where to start to buy or sell coins. Don’t worry its very easy you just need to understand what each section of the website does and you will soon be ready to make money. The first noticeable feature of the website is the graph, this tells you the highest price and lowest price reached in 24hrs. U can adjust your view to see 1day, 1month, 1year and the max view. On default this graph shows you 1day view. The red and green bar you see are called Candle sticks in the trading world. A green candle means the market is going up, this simply means market opened at a low price and closed high, the red candle means the price is going down, price opened high and closed low. Now you know what thing that every trader knows, give yourself a pat on the back you just took your first baby step. Another important feature on the site is the sell and buy orders. Simply this is the list of Sellers and Buyers. The top sell order is the cheapest price, and buyers will start buying on that order. If you scroll down sell order you will see the prices increases. However please note this only shows 50 sell orders at a time even though there is more orders. You can just click on the top sell order to buy, and the system will automatically populate on your Buy order screen. If the amount of pips you are buying are higher than what you can afford you can just advised on your buy screen. 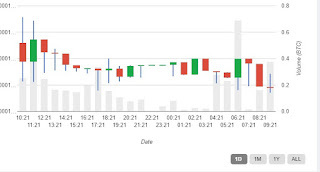 Alternative you can type manually on your buy screen the amount of pipcoins you want to buy and the price you want to buy with as you can see on Sell orders. Then what happens if you want to buy less than what the sellers are offering, then you can still create a buy order and it will go queue under Buy orders. Buyer’s orders top one is the highest buyer price a buyer wants to buy coins for, if you are happy with that price you can just click on it and sell your coins directly to the buyer. But please note the Buy orders will always be below market price as buyers are trying to get a bargain. See above picture: The seller is selling 300 coins for 0.00010829 each, and the system automatically gives you the total btc (bitcoins that you will receive). So all you need to do is enter the price you selling at and the amount of coins u selling. Remember you enter the price in bitcoin per pip. Convert btc to zar and play around with the number, there is lots of website that can do the conversion for you. 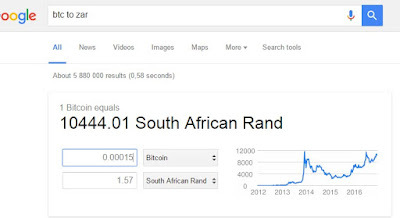 So never ask people on the chatbox how much is 1btc google will tell you. Next Question how much is 1coin, there two ways to get this on DC-ex, First check top right corner where it says market. You will see below example the price is 0.00010789 and use google and you know that is R1.13. See things are getting clearer now, second part to check the price is the Sell orders, look at the top sell order and that’s the cheapest that will get bought and these prices will not be exactly the same. I will explain in the next more complex module. So top sell order can be higher than the market price, market prices also consider people selling directly to buyers, see it gets complicated let me pause not confuse you. 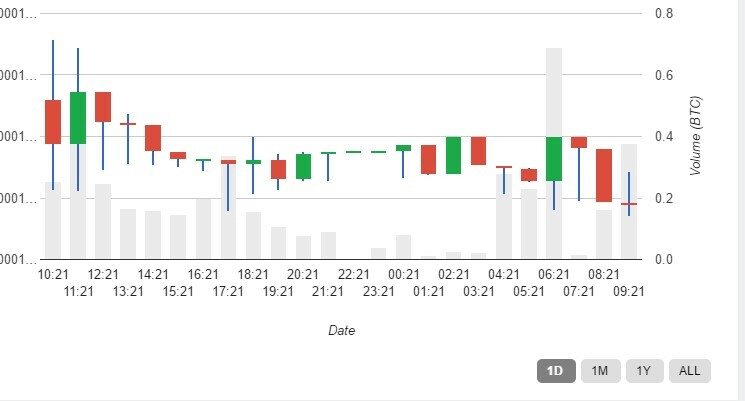 Atleast now you know how to sell your coins now, what happens when your coins get bought? 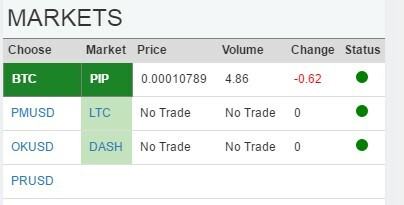 Well easy your BTC balance under buy pipcoins will change. 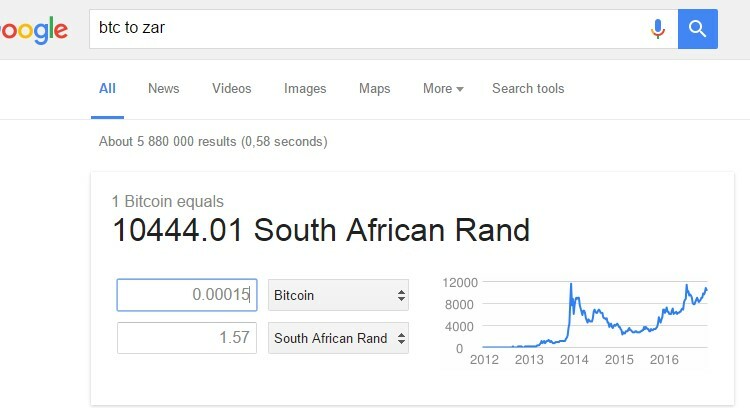 Look at the picture it shows a btc balance of 0.05743963, google that and tell me how much in rands. That is the balance that increases when you have sold your coins. 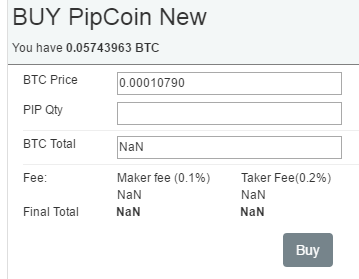 This is also what you use to buy pipcoins, Remember to buy you need BTC. If you have not sold any coin you will not have btc so you will need to transfer your bitcoins from your btc wallet to DC-ex wallet. To withdraw you enter you btc address for example I use bitx so I put my address to send to my btix account, then enter the amount of btc you want to withdraw. You will need to confirm this on your email. Once I have the bitcoins in my bitx account I can then sell my btc for cash and send to my bank account, sounds long but its easy. Happy trading Rabbits.